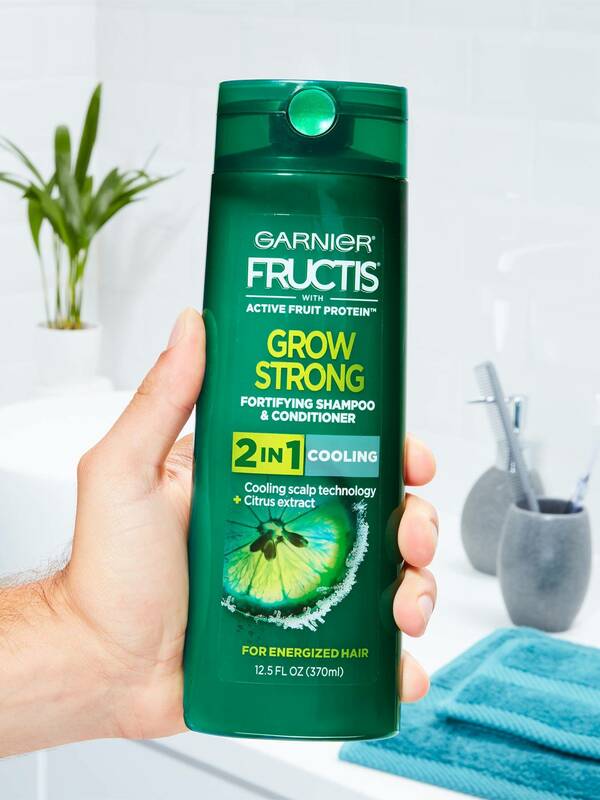 Grow Strong Cooling 2-In-1 is made with cooling scalp technology and formulated with Citrus Extract and refreshing Menthol to give you energized hair. 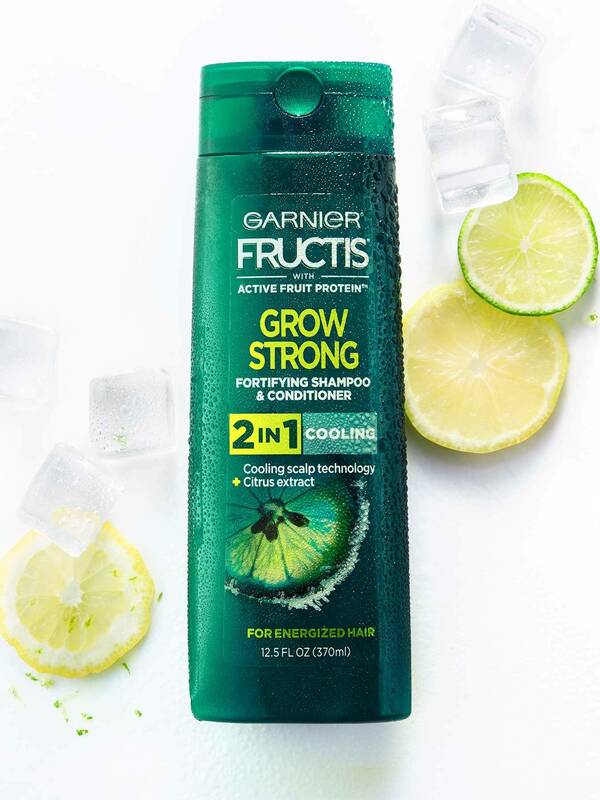 Our cooling 2in1 Shampoo and Conditioner for Men gives you a long-lasting clean feel and fortifies for healthy hair after every wash. Garnier Fructis Grow Strong Shampoo and Conditioner formulas are paraben-free, vegan, with no animal derived ingredients or by-products and gentle enough for everyday use to clean and fortify hair. 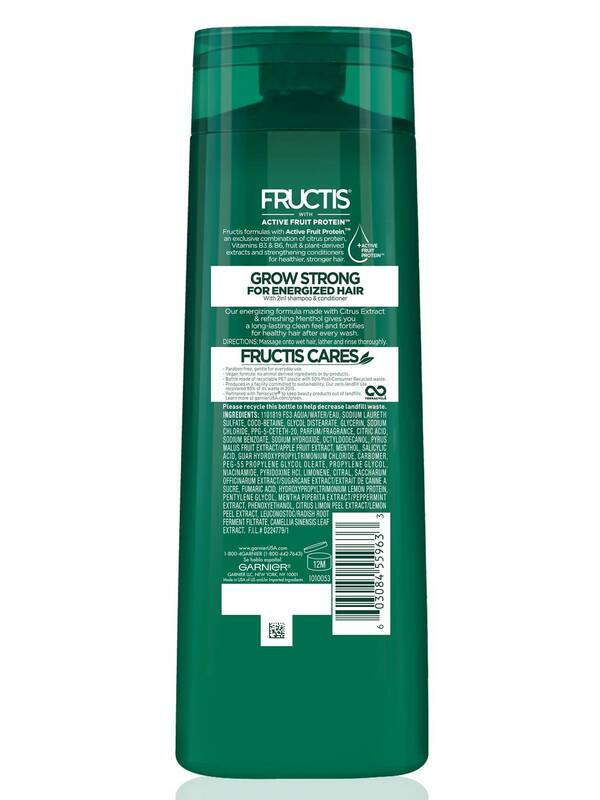 Formulas include Active Fruit Protein, an exclusive combination of citrus protein, Vitamins B3 and B6, fruit and plant-derived extracts and strengthening conditioners for healthier, stronger hair. 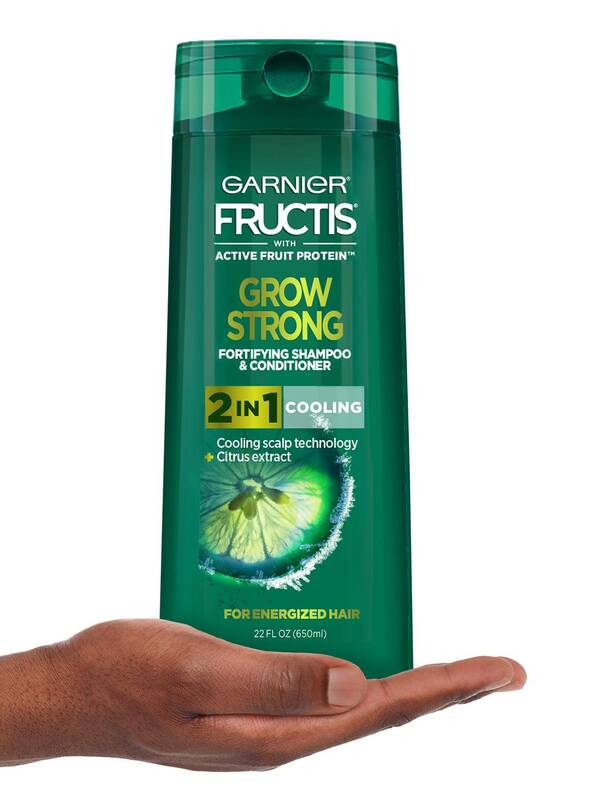 Upgrade your routine with Fructis Grow Strong Cooling 2-In-1 Shampoo and Conditioner for Men. For hundreds of years, people have used the cooling and stimulating effects of mint to invigorate hair and scalp. Packed with powerful proteins and citric acid to reduce greasiness and strengthen hair. Get a refreshingly clean scalp with soft and shiny hair. Rated 5 out of 5 by jmathias from Love love love This shampoo is amazing. My hair has never looked better and my wife loves it too. She said it's one of the best she has used. My scalp tingles when I use it and the smell is incredible. It smells like tea tree. We will be purchasing again. 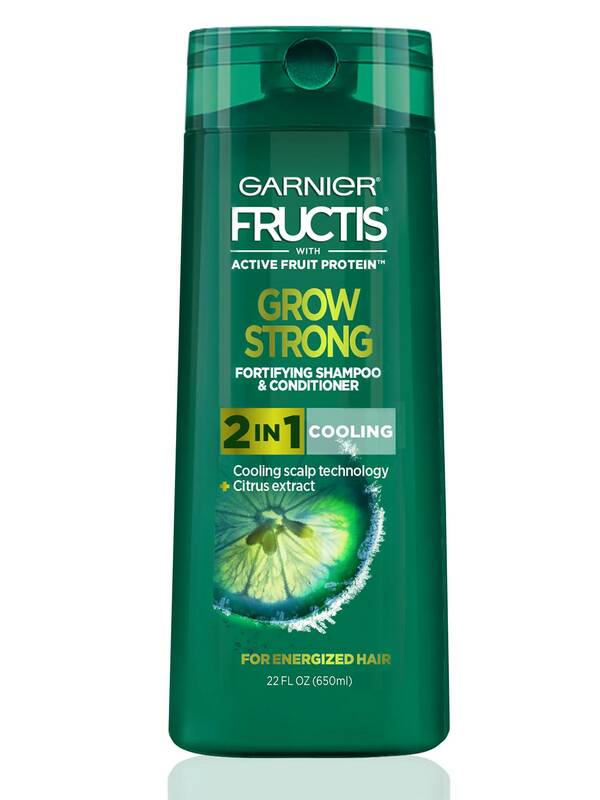 Rated 5 out of 5 by WiLdStar1 from I have used Garnier Fructis products a long time. I loved its smell and the way it leaves the hair feeling. Rated 4 out of 5 by GS10 from Fairly impressed! Great aroma! I usually do not use combined shampoo and conditioner, but this one is pretty good. It cleans my hair well and the conditioner works well too. I would have given it 5 stars except for one thing. The "cooling" is not really noticeable on my scalp and by habit, after I apply shampoo, I scrub my nether regions with the shampoo left on my hands before I scrub well with soap down there. The "cooling" feature does not feel too good when scrubbing those parts! Other than that, it is a great product for the hair on my head! 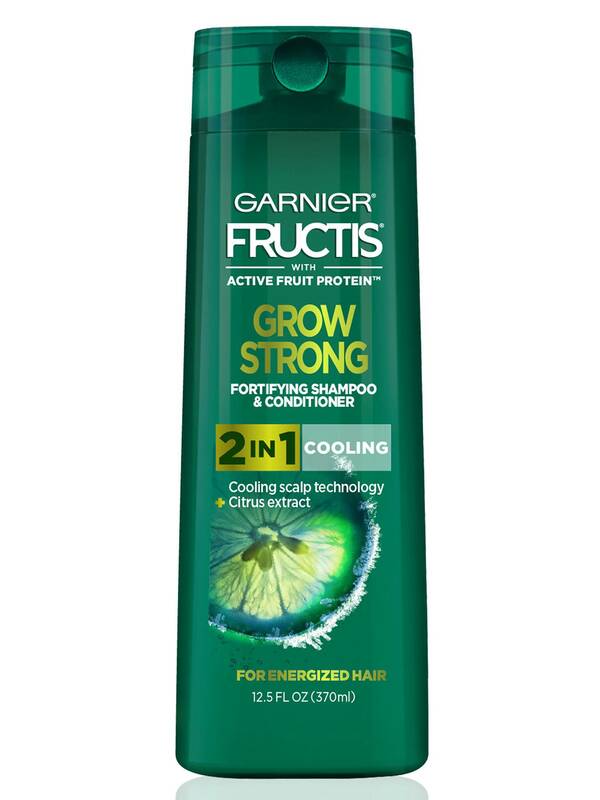 Rated 4 out of 5 by Rod51 from Garnier Cooling 2-in-1 Shampoo and Conditioner for I received a sample of Garnier 2-in-1 Cooling Shampoo and Conditioner for men to try. 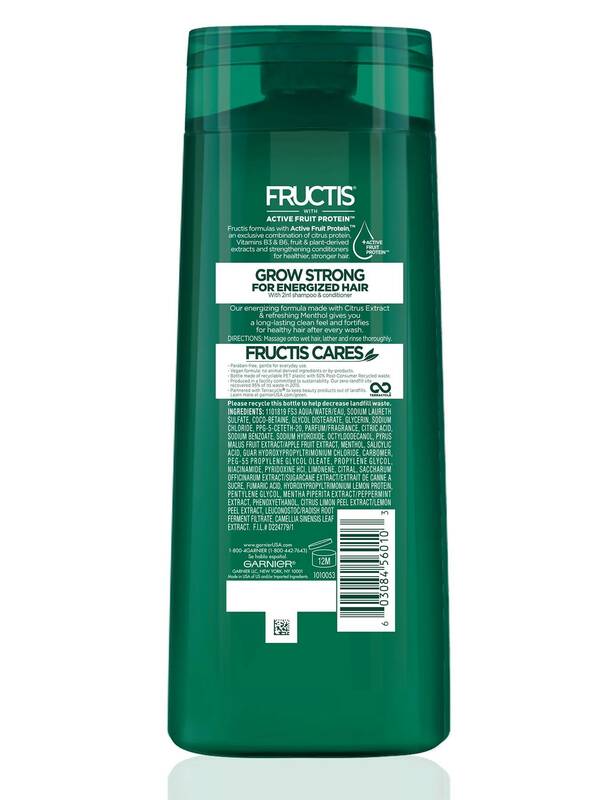 I liked the product but would prefer a shampoo only option as conditioner makes my hair oily. I like the scent and it works as advertised. Rated 5 out of 5 by Stray81 from Made for Men This Cooling 2-in-1 Shampoo and Conditioner is great for guys on the go. I like that it's a 2-in1 so I only have one step when washing my hair. It does have a tingling, cooling effect on my scalp. I have dreads and this works to clean my hair and scalp without stripping my hair's natural nutrients. My hair was so clean that the dyed parts popped! This product also has a great smell. It's not too strong but it does smell like it's made for men. I think every guy should use this product. Rated 5 out of 5 by Vipreviews from Nice Shampoo Very nice shampoo and conditioner combo for Men. Smells nice, lathers well and it has a just right cooling effect. Leaves my hair and scalp both shiny and clean. Even my wife enjoyed using this shampoo equally. Rated 3 out of 5 by autumnb10 from It smells amazing! But my hair does not like the 2-1!! I have very oily hair after day 2 so i have to be very very careful! And my hair unfortently did not like this product at all! But my roomate loves it and it works wonderful for her!